I cant remember exactly when it all started. It was late at night, and we were sitting at home. The rains had come and there was already some concern about the water level of the Jhelum River, which is why we were still awake. In the middle of the night, someone began shouting outside and we all came out to check the water levels again. 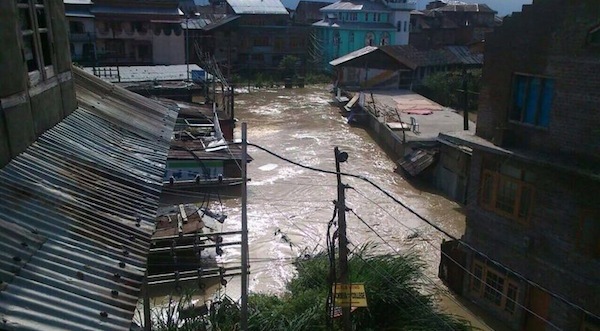 My home is inÂ JawaharnagarÂ – close to the river and now one of the worst affected areas. None of us slept that night, because we were so scared. Those who slept woke up to water in their homes. AtÂ 5am, the mosque started announcing that we should leave our homes, that the river was bursting. It was confusing because there were [no official advisories], and we were not sure of what we were supposed to do. My parents, uncle and aunt moved all our belongings to the first floor. My father told me that they will save the house and that I must take my cousins and go. In a panic, I grabbed a bag with my laptop and ran out of the house with six of my cousins. Our outside wall was crumbling in front of our eyes when we got downstairs. Outside, we joined a crowd of people walking alongside the river. I didn’t know where they were going; we just followed them. I saw women breastfeeding on the side of the river. The streets were now already filled with water, but it was walkable. First we reached Solina Bandh, and paused for a while. Then another announcement came that the water had reached us, and we walked on to Tengpora Bridge on foot. It was aroundÂ 8amÂ orÂ 9amÂ when we got there. We sat down, surrounded by neighbours and people from the district, and just looked at each other. Some of us cried. I had taken nothing with me, except my laptop and phone. I realised I didn’t know where I was going and there was no one to help, or direct us. We sat there for half the day. We didn’t eat. Later in the afternoon, I saw one of my cousins from a distance and he walked over and asked us: “What are you doing here?” ThenÂ he took us to his home inÂ Sanatnagar. But my parents were still at home and I had no idea where my grandmother was.Â My grandmother usually stays with us, but a day earlier, she had gone to another area, Rajbagh, to visit some family. Rajbagh was also badly hit. They say the water reached the third floor of buildings there. I didn’t know where she ended up. I still don’t know. After two days of wondering, I waded through the water and went back to my home district to try and find out about my parents. I found out from people in the area that they were still stuck in the house. On the third day, my uncle managed to get a boatman to take him close to the house, and my father and mother were rescued. They were stuck on the third floor and hadnâ€™t eaten for three days. My aunt and uncle are still there. We have to get another boat to go back. I don’t know how my parents survived. I asked them about everything in the house. What about this, and what about that? They say everything is gone; everything is lost – our certificates, our ID documents, our computers, all gone. They just came with the Quran. Even now, it is still not clear who we are supposed to turn to. 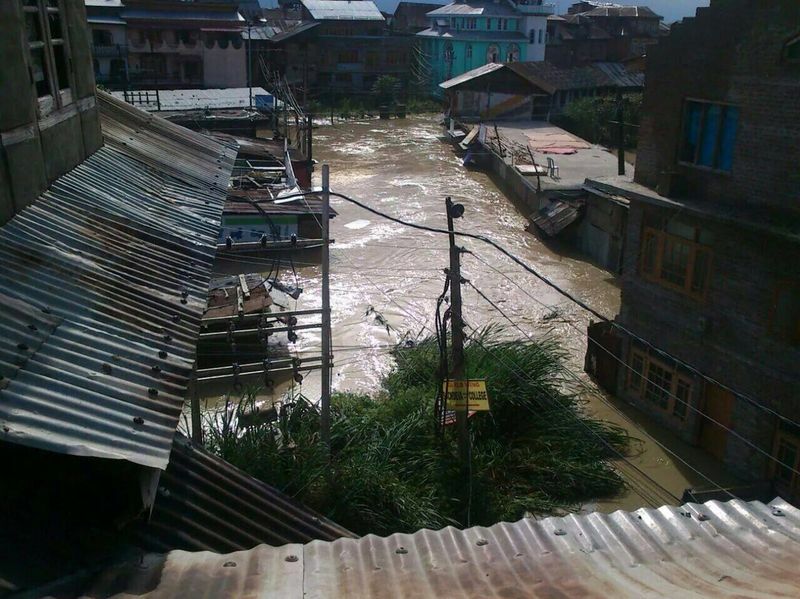 What we understand so far is that people are rescued from their homes and taken to the Barzulla Bridge. But then they don’t know where to go from there. I go there during the day to see if i can identify any family there, also to get some news or any developments. But people are just living by the bridge now. Two days ago, a lady delivered a baby near the Barzulla Bridge. There is a hospital in the area, thatâ€™s why there are many pregnant women or women who recently gave birth near the bridge. When I go towards the bridge, I see people on houses, asking for help, crying.Â I can still see people screaming for help, because they still can’t come down. When I see all of this, the situation at the bridge, I realise my situation is okay. But I wonder about what the government is really doing. There has been a lot of talk, and a lot of choppers flying overhead, but I haven’t seen much else. I have not seen any distribution of aid. Tourists are being evacuated and I have seen very few journalists actually talking to people. I think they are flying with the army to get a view of the situation. They are not on the ground. I keep on thinking that if people’s phones were working, at least people could have been saved. My simcard is working now but some days ago, nothing worked. People have simply lost track of each other. Parents can’t find their children, children can’t find their parents. Right now, we have only what we are wearing but we are just thankful to be alive. 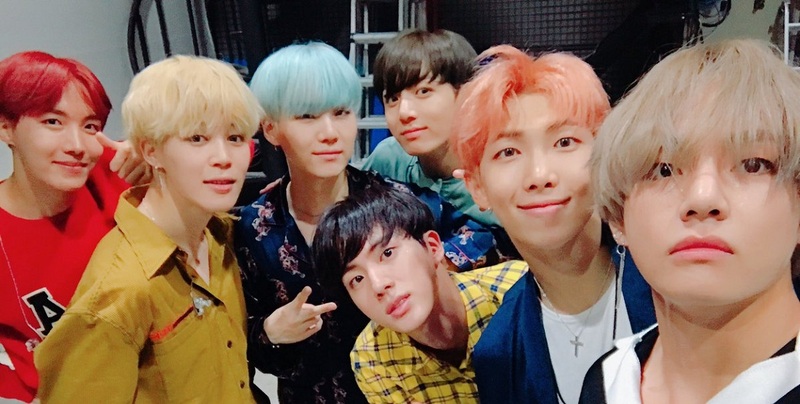 All we want is to see our family. 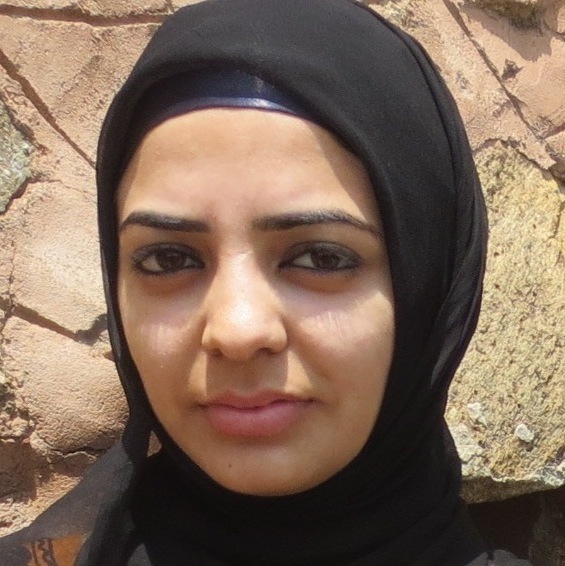 Riffat Mohidin is a freelance journalist based in Srinagar. Â Her account above is based on theÂ transcript of a telephonic conversation with The Daily Vox.